Yes, even salmon can suffer at the hands of a restaurant chef who uses oil as a condiment and salt as a main ingredient. 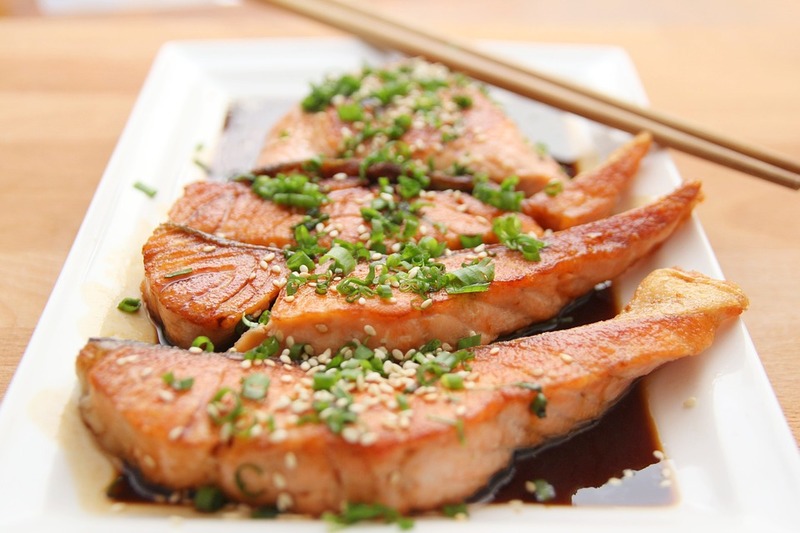 A third of salmon’s fat is of the heart-healthy monounsaturated variety, but P.F. Chang’s has found a way to cram roughly three-quarters of a day’s worth of saturated fat into this otherwise super food. Cook it this way. Combine everything except the salmon in a bowl and stir vigorously with a wooden spoon until the ingredients are incorporated. Set aside. Serve the salmon with a generous spoonful of the flavored butter, which should begin to melt on contact.